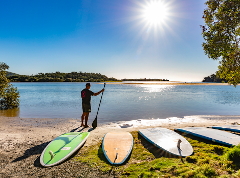 2.5 hour stand up paddle tour taking the guest on a cultural journey showcasing the Gumbaynggirr language, bush tucker and location specific Aboriginal stories. 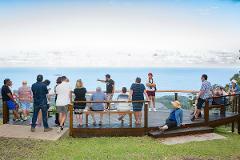 Walking tour in Orara East State Forest that allows guests to experience all aspects of local Gumbaynggirr Culture. Experience the Gumbaynggirr from land and water. Enjoy a full day tour starting with a stand up paddle tour followed by a cultural walking tour.